This portfolio section contains artwork of generic cars that were created specifically for licensing and reuse as stock art. 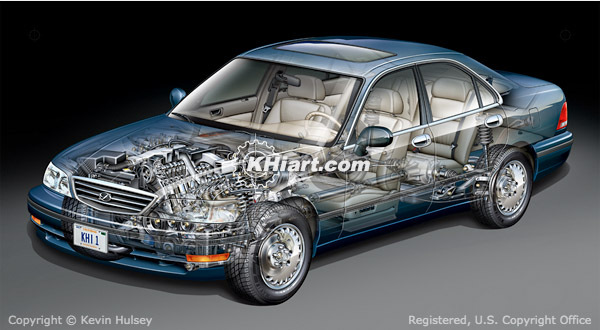 These cutaway car stock images are totally generic creations that are not associated with a particular make, model or brand of automobile and are not identifiable by region or country of origin. 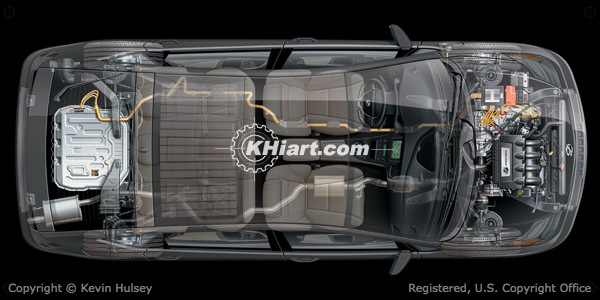 The screenshot above shows the finalized version of this 2012 model cutaway generic car illustration. Contact us to purchase the full layered file of this image. 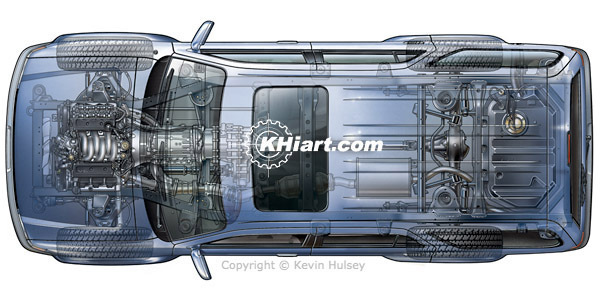 This realistic aerial view illustration of a generic European car has a front wheel drive configuration and V8 engine. The image in a digital layered Photoshop file which can be easily altered and customized. 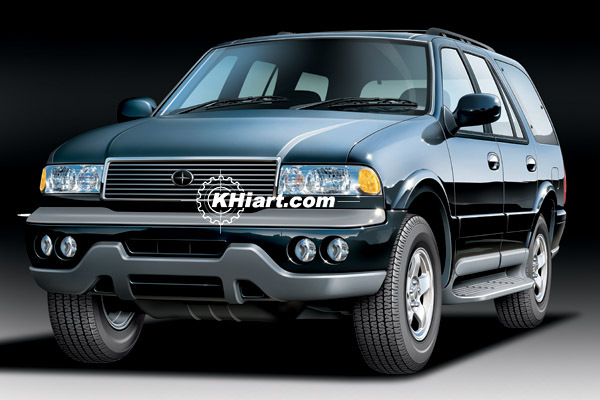 This realistic illustration of a generic SUV was created for AAMCO Transmissions. 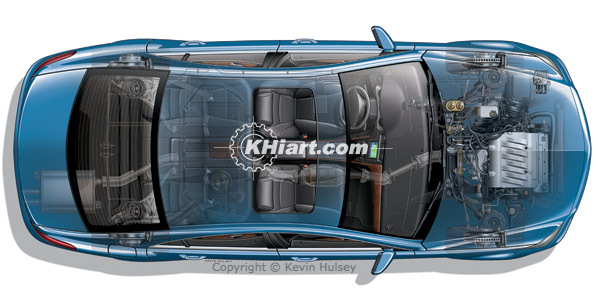 The top view illustration is of a totally generic hybrid car. 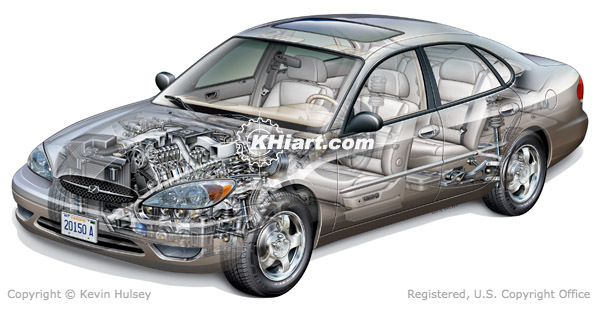 This illustration of a generic American car was created in layers and is available for license. The body style is modeled after a Ford Taurus domestic sedan. 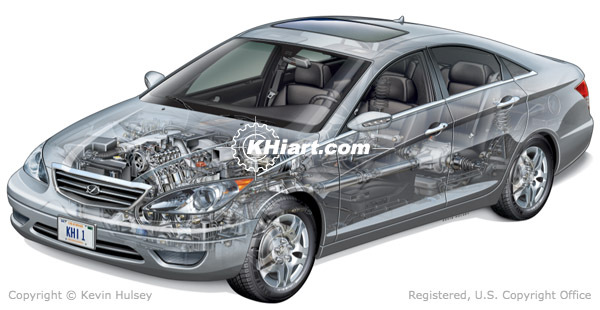 This x-ray overhead illustration depicts totally generic hybrid car cutaway. 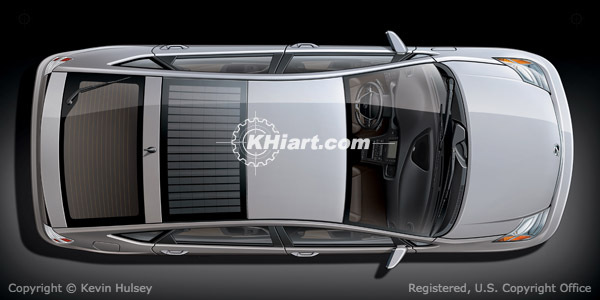 This generic car top view is a German luxury 4-door sedan model in a layered Photoshop file. 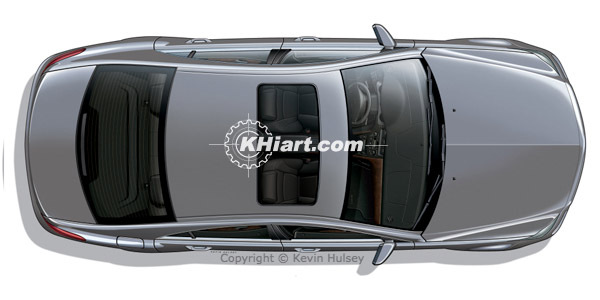 The image above is a realistic 3/4 view rendering of a generic U.S. model car exterior. 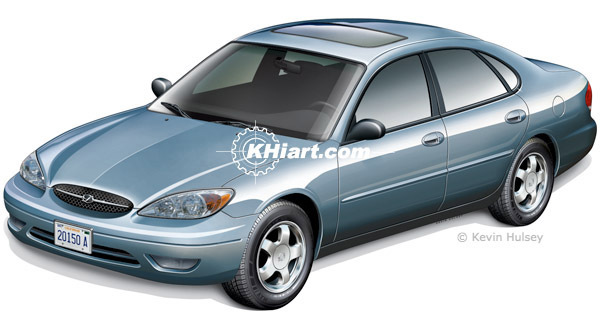 This domestic generic sedan was created as a layered Photoshop file that can be easily customized. 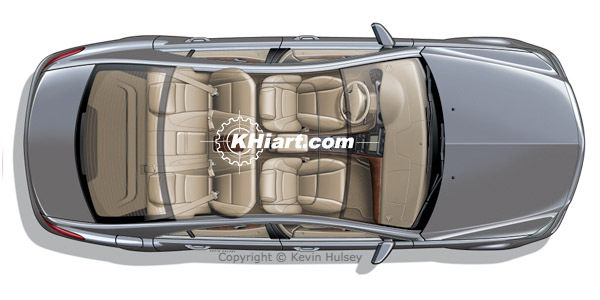 This aerial view illustration shows a luxury 4-door sedan's interior cabin and seating configuration.